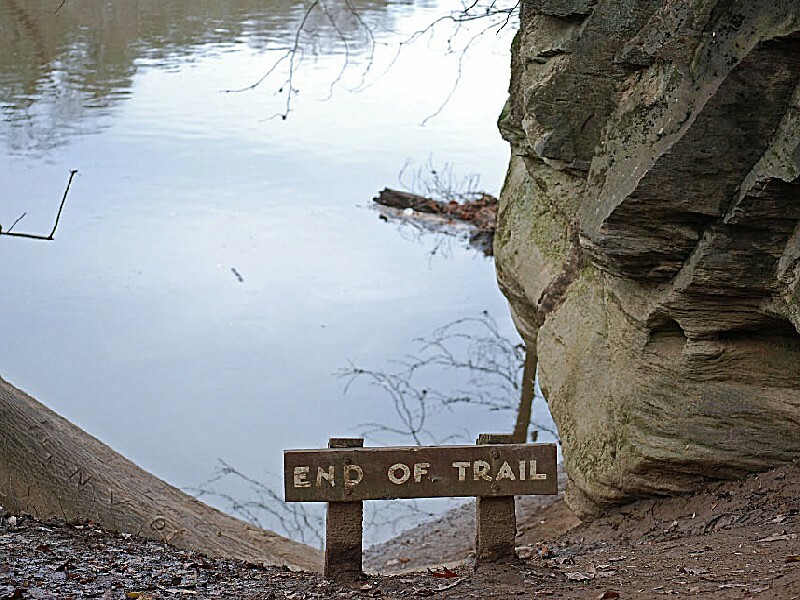 Should the humdrum of the work week leave you with the urge to travel and explore, head to Raven Rock State Park. 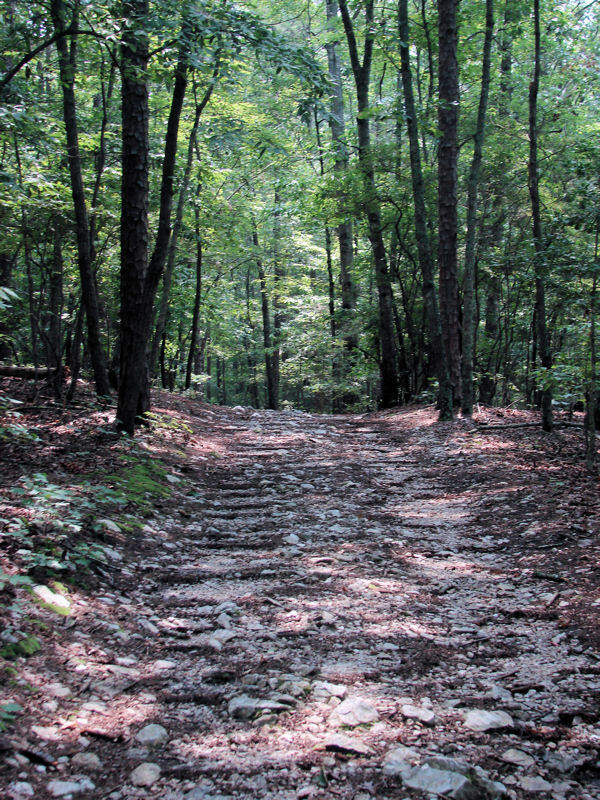 Adventure is just an hour's drive from the Research Triangle and only 45 minutes from the Fayetteville area. The first feeling you are likely to experience at Raven Rock is one of renewal. 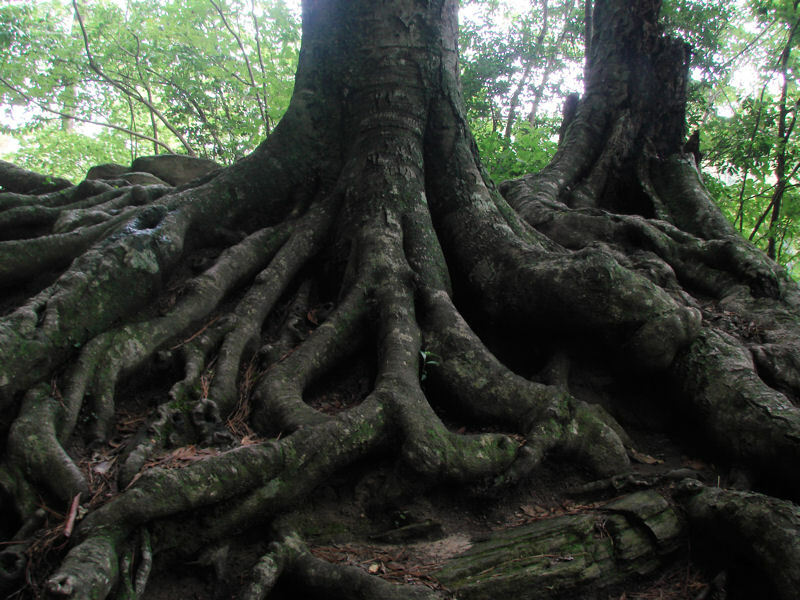 Here, the forest reigns as each year the timeless cycle of growth further heals age-old wounds inflicted by man. 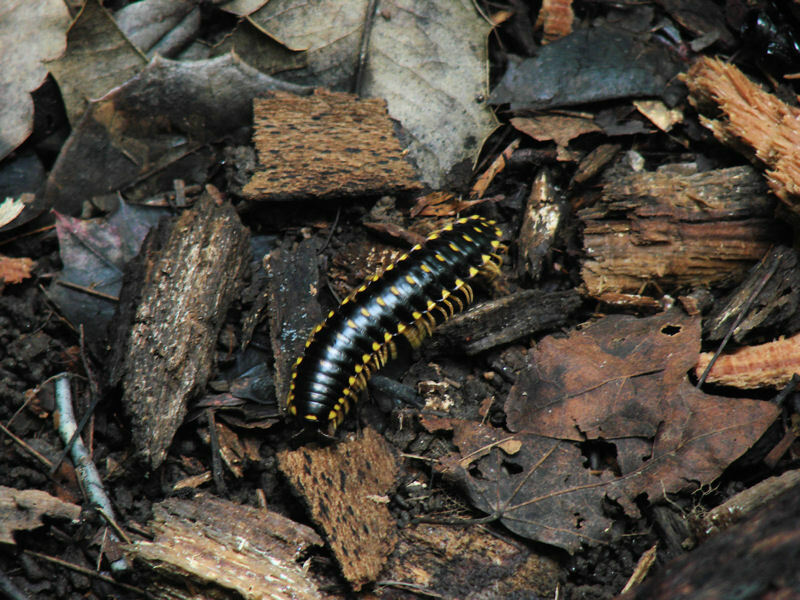 Nature triumphs as plants compete in the stages of forest succession and the woodlands are restored. High above the Cape Fear River stands Raven Rock, its austere beauty a testament to the forces that have shaped the land. As the river below rushes to join the sea, nature's elements continue to shape the surface of this natural monument. Spend some time at Raven Rock State Park and let nature refresh your spirit. 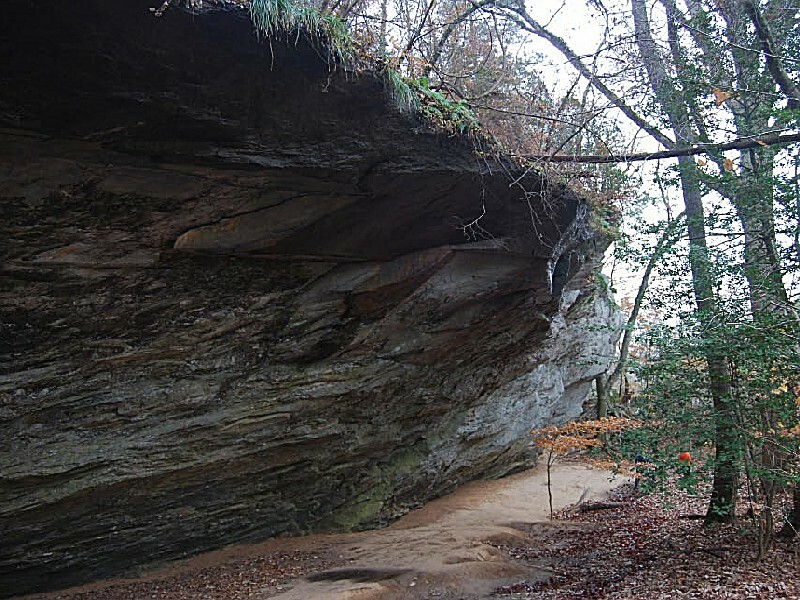 Raven Rock State Park sits along the fall zone, an area where the hard, resistant rocks of the foothills give way to the softer rocks and sediments of the coastal plain. The underlying rocks of the area were formed more than 400 million years ago by intense heat and pressure. Through the ages, flowing waters and swirling winds gradually eroded the land, carving and sculpting Raven Rock. This immense crystalline structure rises to 150 feet and stretches for more than a mile along the Cape Fear River. The rock was originally called Patterson's Rock for an early settler who found refuge there when his canoe capsized nearby. 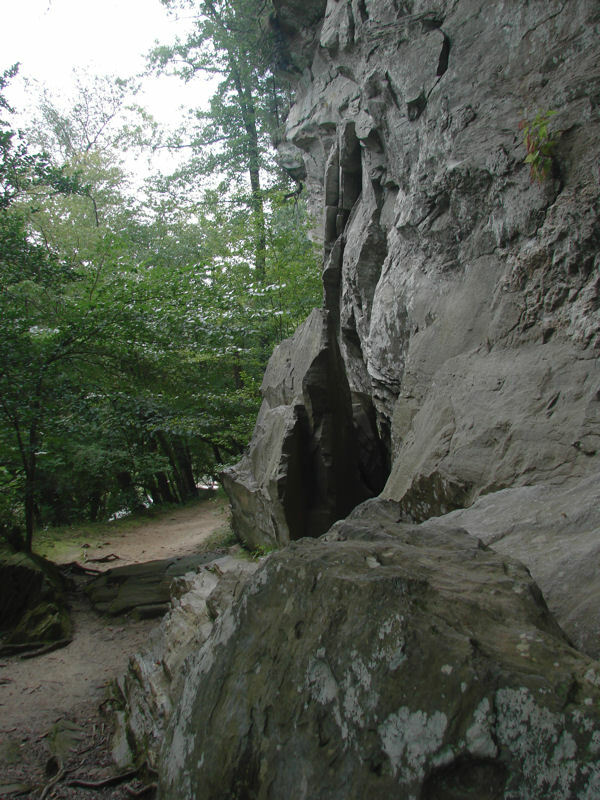 In 1854, its name was changed to Raven Rock, inspired by the sight of ravens that formerly roosted on rock ledges. The Siouan and Tuscarora Indians hunted the area until European settlers arrived in the mid-1700s. The first settlers were primarily hunters and trappers who were searching for high country similar to their native country, Scotland. Later, stores, mills and quarries were built. Many of the woodlands were farmed, and as the forests returned, much of the land was harvested for timber. A road that stretched from Raleigh to Fayetteville crossed the Cape Fear River via the Northington Ferry and served as the area's major transportation route. 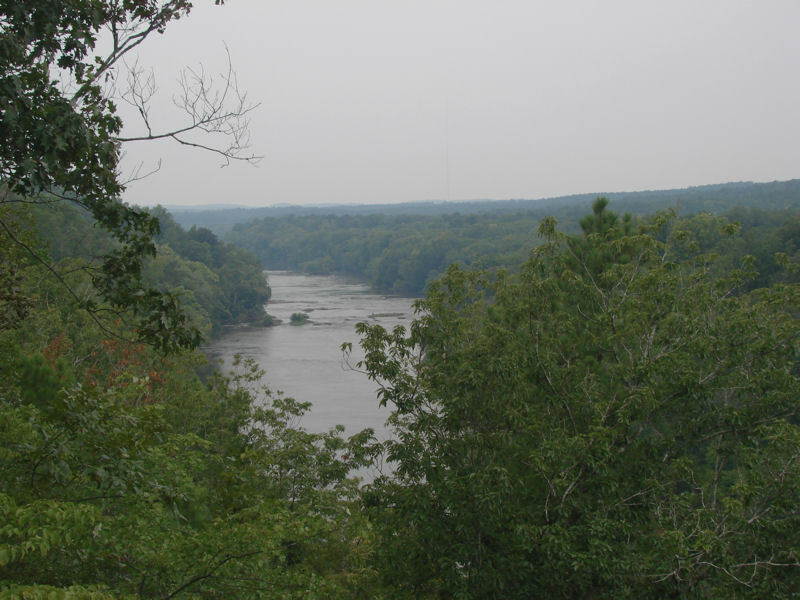 Locks and dams were built along the river to facilitate navigation by boat, and Raven Rock became an important landmark for river pilots. After a hurricane destroyed the locks and dams in 1859, the structures were not replaced; railroad transportation eliminated the need for river travel. As new roads were built, the ferry was closed and Raven Rock became a popular recreation spot. The remnants of the Northington lock and dam can still be seen in the park. In 1965, interest grew in preserving the area as a state park, and local citizens organized support for the project. In 1969, a bill establishing the park was passed in the General Assembly. More than 220 acres of land were purchased and another 170 acres were donated by Burlington Industries. Additional tracts have since been purchased, bringing the park to its present size of 4,667 acres. Backpack camping facilities, available to families and groups, offer an opportunity to enjoy the wilderness without distraction. All supplies, including water, must be packed to the sites. Before camping, register your vehicle and obtain a camping permit at the park office. Family camping: Follow Campbell Creek Loop Trail to reach the family wilderness campground, approximately 2.5 miles from the parking area. Five sites, each accommodating up to four people, offer tent pads, fire rings and a vault toilet. Sites are available on a first-come basis. Group camping: Little Creek Loop Trail leads to the group wilderness camp, 2.2 miles from the parking area. Located along the Cape Fear River, the area offers fire rings and vault toilets and accommodates up to 20 people per campsite. Five campsites are available. Use of this area is by reservation only. Click here to download more information about group camping and the group camping application. Canoe camping: Six campsites along the Cape Fear River Canoe Trail offer accommodations for canoeists. Located beside the river in a low-lying area, these sites include fire rings and a vault toilet. The canoe camping area is 1.7 miles from the park office and is not accessible by car. 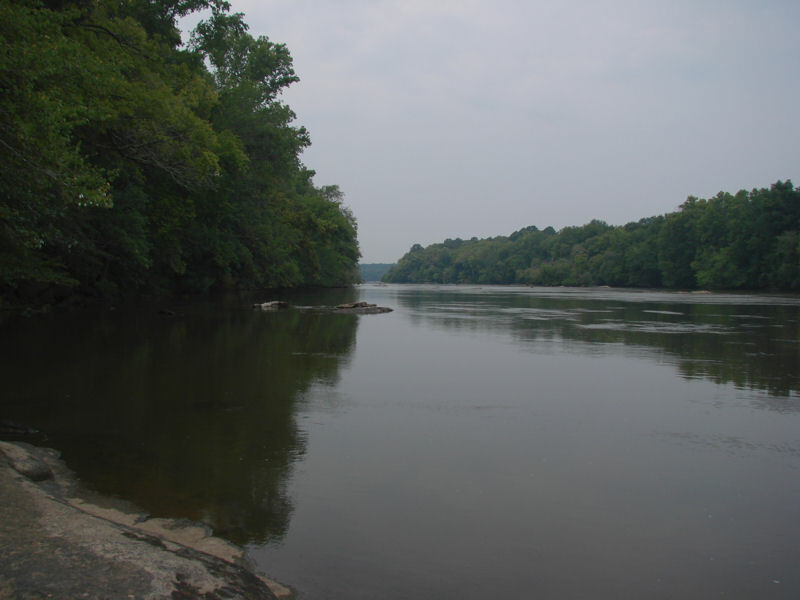 Canoeists should reserve sites by calling the park office before embarking on a trip. 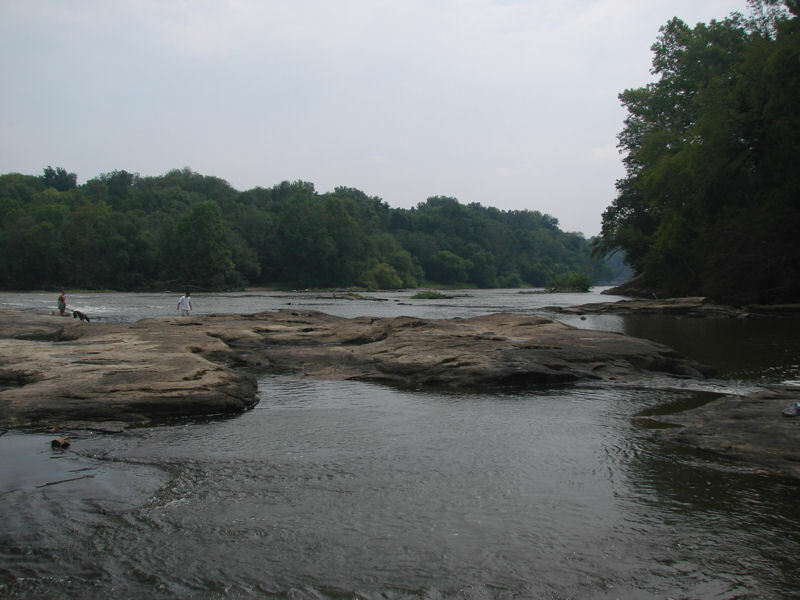 Negotiate the rapids of Lanier Falls and the Fish Traps on a portion of the Cape Fear Canoe Trail that runs through the park. The entire trail travels for 56 miles along the Cape Fear River from an access point at the US 1 bridge over Deep River. A buoy signals the location of the canoe camp in the park. Contact park staff for information about the nearest access points; there is no access area in the park. Canoeists should exercise caution and wear life vests at all times. Spring floods make the river dangerous for canoeing. Check with the park office for the current water level before launching your canoe. Portage dams, dangerous rapids. 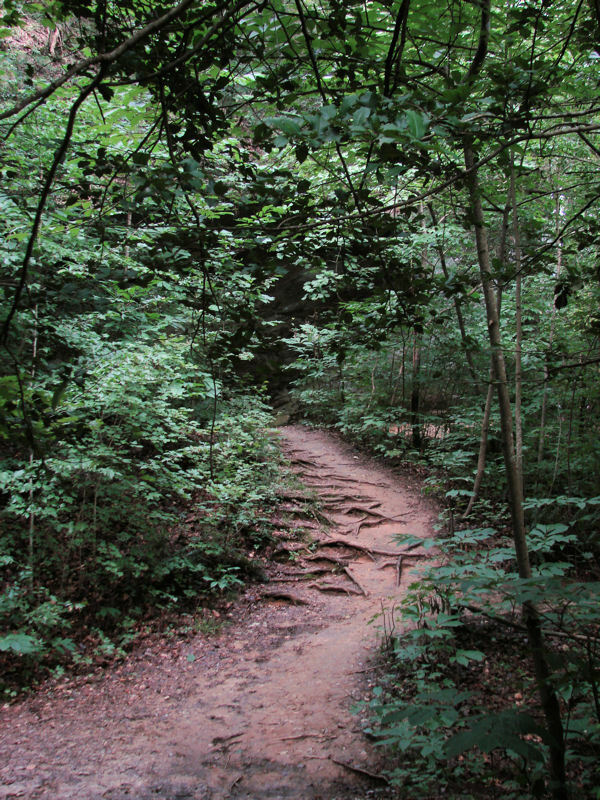 Scenic trails invite you to journey into the park's interior. 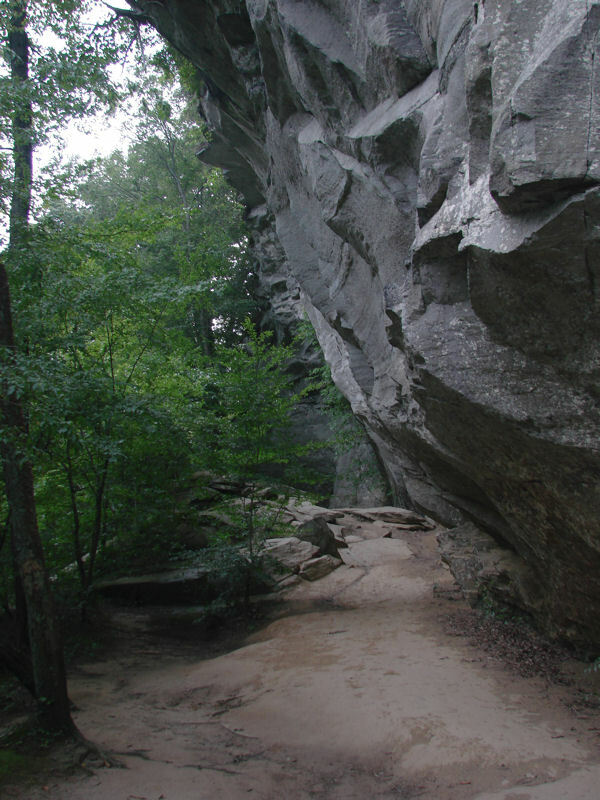 Raven Rock offers a variety of trails. Travel them on foot or on horseback. Hiking: A number of trails in the park traverse a variety of terrains. 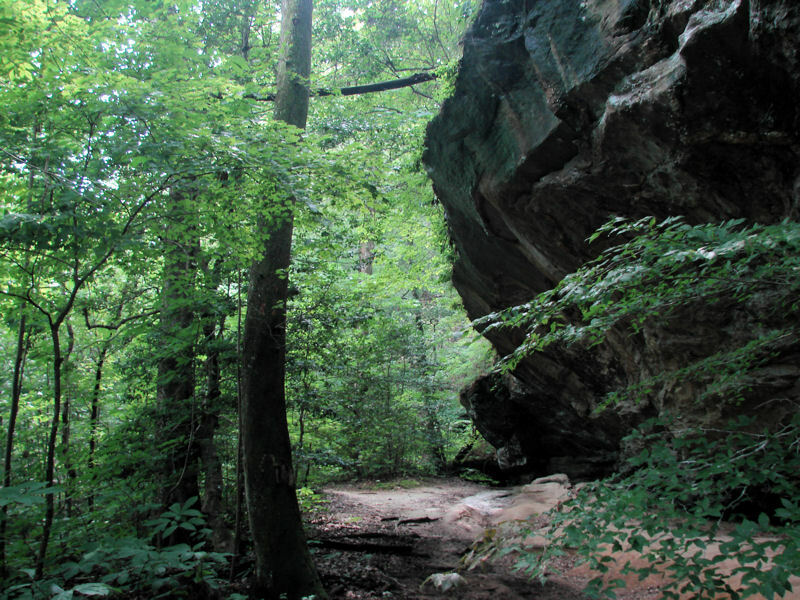 Raven Rock Loop Trail travels through a hardwood forest on its one-mile trip to the park's centerpiece, Raven Rock. 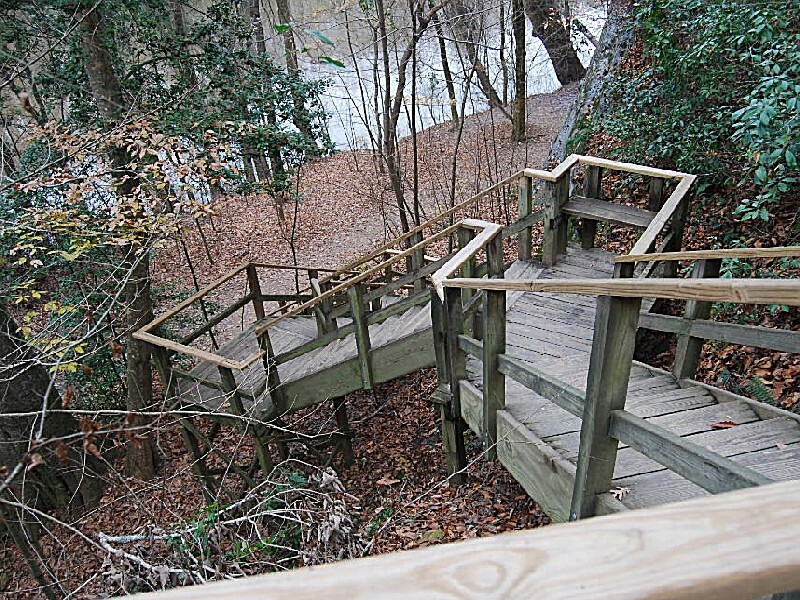 Wooden stairs down the face of the river bluff lead to the base of Raven Rock where the river bank provides a place to examine the area beneath the overhang. A stone balcony along the way overlooks the river and the flood plains beyond. Other trails offer access to fishing holes and idyllic scenery. For information on distance and difficulty, see the park map. 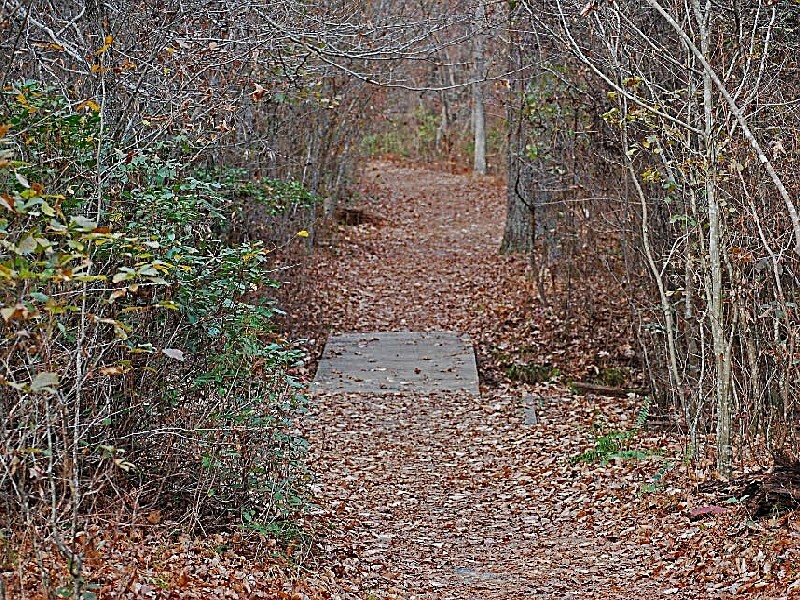 Horseback riding: Undeveloped woodlands on the north side of the river with areas set aside for parking and picnicking offer seven miles of trails for horseback riding. Land adjoining park bridle trails is posted private property. Respect the rights of landowners; do not trespass. Horses are not permitted on hiking trails. After periods of heavy rainfall, the trails can become very muddy. To help avoid injury to your horse and damage to park natural resources, please avoid using the trails at these times. Rangers hold regularly scheduled educational and interpretive programs about Raven Rock State Park. To arrange a special exploration of Raven Rock State Park for your group or class, contact the park office. Educational materials about Raven Rock State Park have been developed for grades 5-8 and are correlated to North Carolina's competency-based curriculum in science, social studies, mathematics and English/language arts. 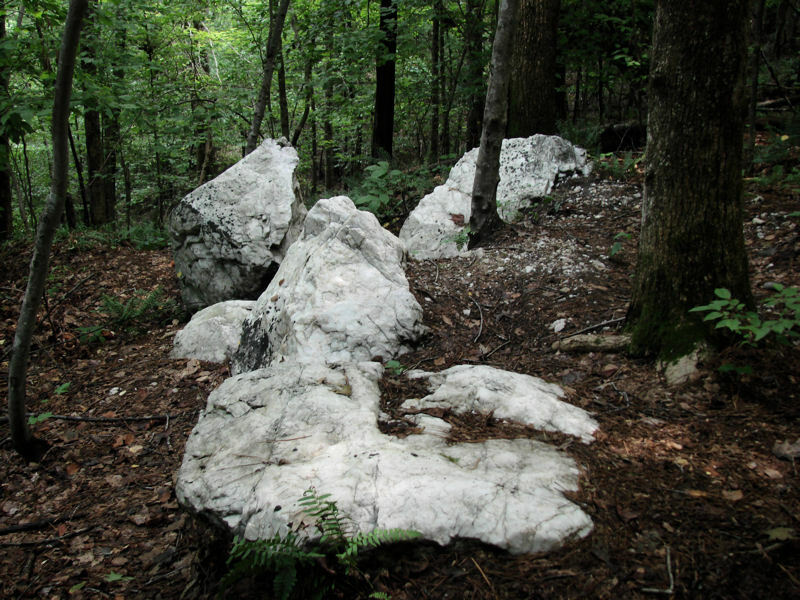 The Raven Rock program introduces students to the geologic processes along the fall zone. Accompanying the program is a teacher's booklet and workshop, free of charge to educators. Wonderful facilities. Some new signage from new visitor center would help. Trails are great. Views are wonderful. Will definitely visit again. We had a blast there! We went there with our 2 1/2 year old and it was a perfect place for her to walk around and expend some energy. It has nice trails through the woods (though not good for strollers). It is a quiet place to go if you love nature. It also had nice clean rest-rooms. Raven Rock State Park is located in Harnett County, nine miles west of Lillington and 20 miles east of Sanford on US 421. From US 1, take US 421 east. Turn left onto Raven Rock Road, and follow it for three miles to the park. From I-40, take I-95 south to US 421. Travel northeast on US 421. After passing through Lillington, turn right onto Raven Rock Road, and follow it for three miles to the park entrance.